Greetings! 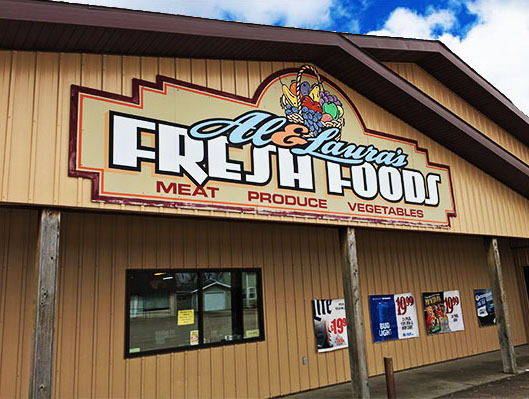 We are Al & Laura's Foods, your friendly local provider for meats, food, and drinks for all occasions. We are your ideal stop for putting together tonight's dinner or grabbing snacks for the lake. We also have a selection of household items and other useful products. On our site you can find information about our hours, services, select products, and how to contact us with any further inquiries. If anything on here interests you, please don't hesitate to ask! Even better yet, come on in and visit us! We would love to help you out in any way we can! Monday-Friday 8:00 A.M. to 7:00 P.M.
Click here for our online ad!